Bobby Brown was hired as the Saltdogs’ manager in January 2016 after spending the prior three seasons with the Amarillo Sox/Thunderheads. During his tenure with Amarillo, the contracts of five of his players were purchased by major-league organizations, and two players, OF David Peralta and RHP John Holdzkom, have reached the major leagues. 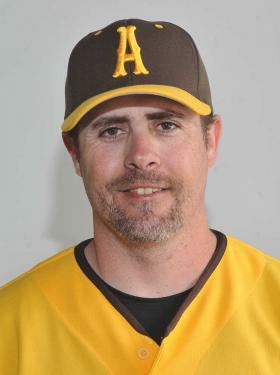 Prior to the American Association, Brown was the field manager for Abilene of the North American League in 2012, as the third base/hitting coach for San Angelo of the NAL in 2011, and as the manager of Las Cruces of the Continental League in 2010. A native of Van Nuys, Calif., Brown played eight seasons professionally, including two with the Sioux City Explorers (2004-05) and two with the Winnipeg Goldeyes (2001-02) when both teams were in the Northern League. He played collegiately at the University of Oklahoma, and was the left fielder for the Sooners’ 1995 squad which reached the College World Series.